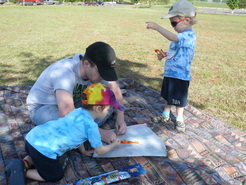 Blustery Spring days call for a picnic and a kite. Pack up those snadwiches and get out there. Let the wind be your friend! This has been far and above one of our favorite family nights and it's so easy. There’s nothing better than heading to your local park with a picnic bag (we don’t have a basket). Grab a PB&J, pretzels, orange and water bottle and you are good to go. Of course, you can bring whatever easy picnic food you want. Make it easy on yourself – you can even go through a drive-thru. 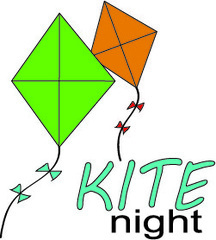 Now you can be more than creative and make a kite on your own with a trashbag and some dowel rods but it’s much easier to pick up a kite kit from your local dollar store for each person. 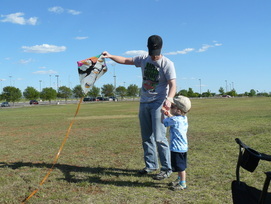 Once you get to the park and have eaten (or while you are eating), put together your kite. While this sounds simple, it can be frustrating. Believe me, I know (why do you think I'm taking the pictures and not flying the kite). Take it all in stride and just have fun flying (or crashing) your kites. I promise, it will be a favorite family night for years to come.